The only legal and safe way. 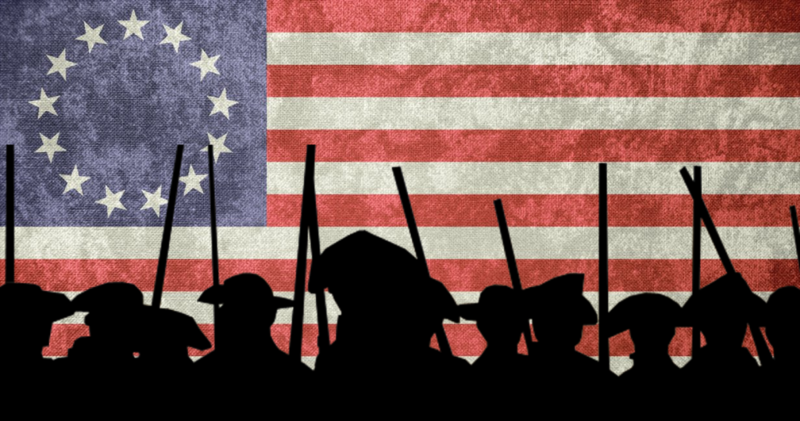 Conservative-thinking Americans who cherish their constitutional republic increasingly are asking how to effectively safeguard the republic against a rising tide of socialist beliefs and policies. Much of this concern is due to the accelerating movement of the Democrat Party to embrace and espouse leftist, socialist values and policies. For example, many Democrat candidates for the presidency openly advocate for the elimination of the Electoral College, openly endorse the far-left, socialist “Green New Deal,” and openly endorse open borders for the nation. No longer is it inconceivable that a leftist, socialist candidate such as Beto O’Rourke or Bernie Sanders could become president along with a leftist, socialist-controlled Congress. Rather than continuing to hope that a conservative-leaning Supreme Court might overturn many of the actions of a socialist-controlled federal government, the American people themselves need some kind of legal mechanism to overrule financially burdensome and otherwise egregious laws, rulings, and policies promoted by a socialist federal government. One asks what would be an effective tool for conservative, freedom-loving Americans to have and use (short of civil disobedience or war) against the actions of a future socialist-controlled federal government? The answer to the above question requires a short history lesson about the U.S. Constitution. When the Constitution was written in 1787, the Founders realized that they could not anticipate everything that would happen centuries into the future. Thus, in Article V of the Constitution, the Founders made provision for two ways to amend the Constitution to accommodate corrections and adjustments. The first and usual way to amend the Constitution is for amendments to be proposed by a two-thirds majority of sitting members of the U.S. House of Representatives and Senate. In order to become part of the Constitution and law of the land, any proposed amendment must then be ratified by three-fourths of the state legislatures or 38 state governments. The Founders intentionally made it very difficult to add to or change the Constitution — since the Constitution became law of the land in 1789, only 27 amendments successfully have been ratified whereas over 11,500 have been proposed! The second and heretofore unused method to amend the Constitution is for at least two-thirds of the state legislatures (34 legislatures) to require the U.S. Congress to call for a convention of states where the convention delegates, selected by each state legislature, would propose amendments. Amendments proposed at a convention of states also must be ratified by three-fourths of the state legislatures or 38 state governments in order to become part of the Constitution and law of the land. A very important amendment that could be proposed at a convention of states is an amendment that gives override power to a supermajority of state legislatures (perhaps 30 legislatures) over any financially burdensome or otherwise egregious federal law, policy, or court ruling including Supreme Court decisions. Such an amendment would give a tremendous legal power to a majority of conservative, freedom-loving Americans living throughout the nation who want to protect and safeguard their American republic. Other important amendments that could be proposed at a convention of states include 1) an amendment to require a bona fide balanced federal budget with penalties for members of Congress who fail to abide by budget limitations, and 2) an amendment that limits total years served by members of Congress and certain other federal officials including members of the federal judiciary. It is very doubtful that any of the above suggested amendments leading to important systemic changes in the way the federal government operates will ever be approved by a majority of the members of the United States Congress! Regrettably, much misinformation has been spread and much misrepresentation has been made about the conduct and risks associated with a convention of states. The bulk of these arguments revolve around the fear of a “runaway” convention where a majority of the delegates from the attending state legislatures might propose amendments that could do much harm to the Constitution, existing amendments, and even result in an entirely new constitution being written. (1) The actions of delegates to a convention of states, including their authorities to propose and/or vote on various amendments, can be tightly controlled and restricted via the delegate commissioning process established by each state legislature — for example, delegates could be prohibited from proposing or voting on any proposed amendment that degrades or changes any existing amendment such as the 1st or 2nd Amendments. (2) Delegates can be subject to immediate recall and fines and/or prosecution if they act outside their authorities. 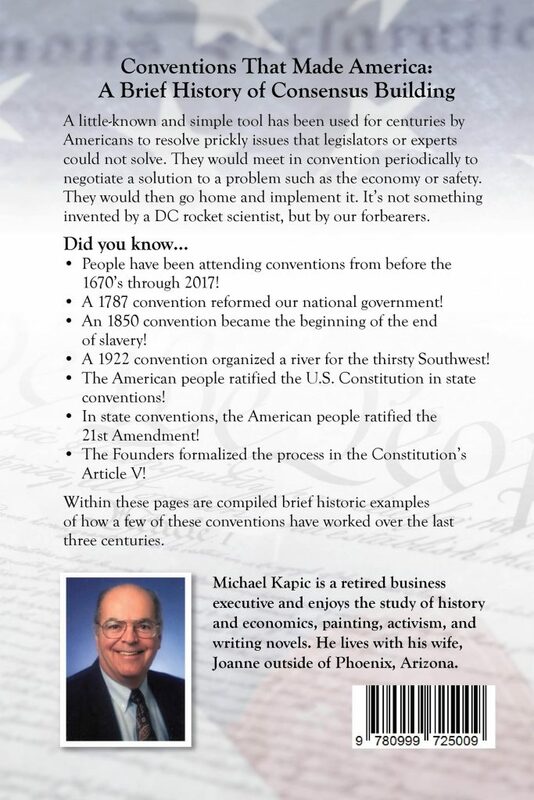 (3) Based on historical meetings of state legislators, each state delegation to a convention of states will only have one vote regarding proposed amendments; draft rules to be followed at a convention of states already have been circulated among various state legislators for comment and ultimate adoption. (4) The ultimate check on any rogue type amendment ever becoming part of the Constitution is the fact that it must be ratified by at least 38 state legislatures equating to approval by at least 76 individual legislative chambers (both House and Senate of each state government). Quite a safety valve. Currently, there are over 10 different citizens groups advocating for state legislatures to call for an Article V convention of states. With one exception, all these groups want legislators to call for a “limited” convention where only one particular amendment or amendments pertaining to limited subject areas would be proposed. As discussed below, research indicates that such a limited convention, if legally challenged, ultimately may be declared unconstitutional by the United States Supreme Court. Several leading constitutional scholars such as Michael Stokes Paulsen, Charles Black, Walter E. Dellinger, and Russell Caplan all agree that Congress cannot call or sanction a limited convention of states where delegates do not have the same freedom and discretion to deliberate any and all amendments in the same manner as members of Congress. A “general” convention, allowing state delegates to be on a parity with members of Congress in deliberating and voting upon all proposed amendments, appears to be the most defendable and feasible approach to convening a convention of states. In fact, if Congress did call for a limited convention of states, and it was challenged in court (as it most likely will be), a majority of “originalist” Supreme Court justices could rule such an action by Congress to be unconstitutional. As indicated above, at least four leading constitutional scholars believe that Congress only can call and sanction a general convention of states. Currently, there is only one Article V citizens group advocating for a general convention: the newly formed American Constitution Foundation (ACF), a nonprofit organization. ACF has a five-year strategic initiative that includes a detailed five-year operating budget. The initiative provides a politically safe path for state legislators to convene a convention of states regardless of party affiliation. It also prepares for litigation and maximizes the probability of a favorable outcome. Given adequate funding, ACF is prepared to expeditiously advance its five-year initiative. 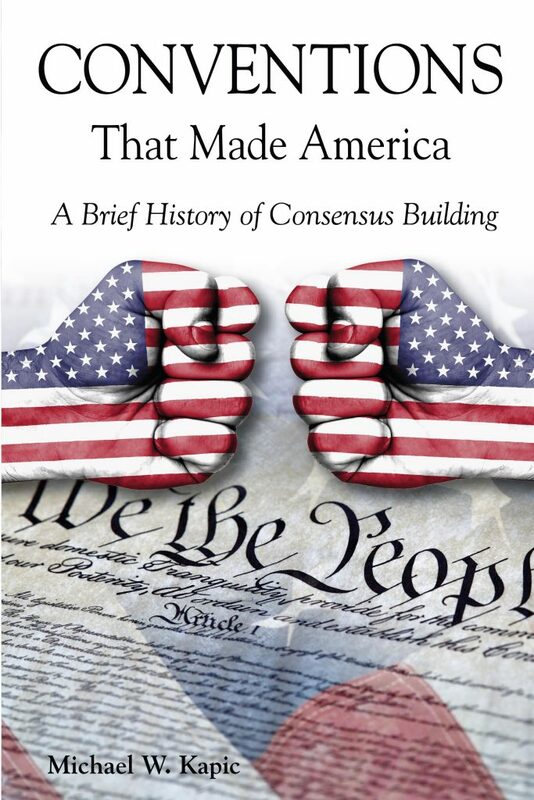 Readers are encouraged to learn about the American Constitution Foundation by studying all the items under the various tabs on its website, www.amconfdn.org. This is an organization that needs to be fully supported by all citizens desiring to protect and safeguard America’s cherished constitutional republic! Paul S. Gardiner is a retired Army Officer, Vietnam veteran, and avid lover of America. He is a graduate of the University of North Carolina at Chapel Hill, University of Alabama, and Army War College. He and his wife of 50 years, Karen, reside in Hoschton, Georgia.